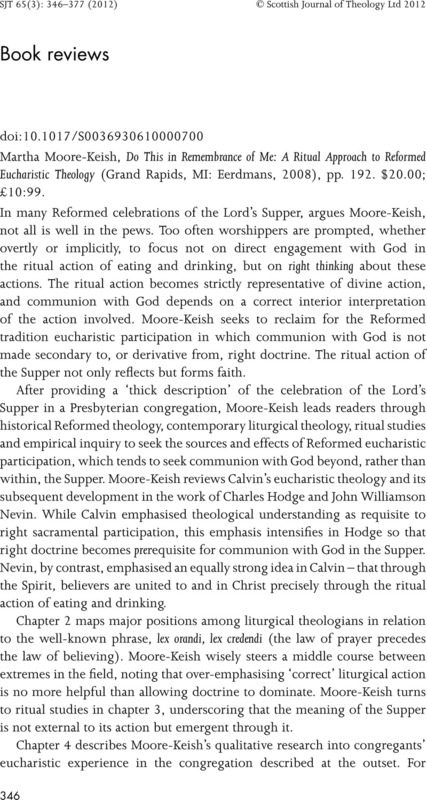 Martha Moore-Keish, Do This in Remembrance of Me: A Ritual Approach to Reformed Eucharistic Theology (Grand Rapids, MI: Eerdmans, 2008), pp. 192. $20.00; £10:99.